July 10, 2015, 12:22 p.m.
Greek PM Alexis Tsipras has put a third bailout plan up for parliamentary approval. The new text would commit Greece to some cuts even deeper than those outlined in the deal rejected by Greek voters last weekend, but will also allow urgently needed debt relief. Eurogroup President Jeroen Dijsselbloem called the plan “thorough”, but German leaders, whose support will likely be key to the approval of any new deal, have been quieter. According to a new YouGov survey conducted after the referendum, there is also a schism in public opinion between British and French publics on the one hand, and the German and Nordic states on the other. On the question of whether Greece’s debt should be reduced and renegotiated, as Tsipras and even the IMF have suggested will be necessary for a sustainable deal, French and British people are divided while six in ten Germans and three-quarters of all Finns say European countries should insist on the original terms of the loans. Germany is a leading creditor for Greek EU bailout loans. Meanwhile the Finnish Finance minister has said Greece owes his country 5 billion euros – equivalent to 10% of Finland’s annual budget. France is also a major creditor, but President Francois Hollande has urged solidarity. On several other measures there is evidence of considerably more sympathy – or at least less blame – for Greece in France and Britain than Germany and the Nordics. Only around a third of French and British people say the Greeks bear more responsibility for the current crisis than the ‘troika’ of European financial institutions (the EU, the IMF and the ECB) on the other end of negotiations. 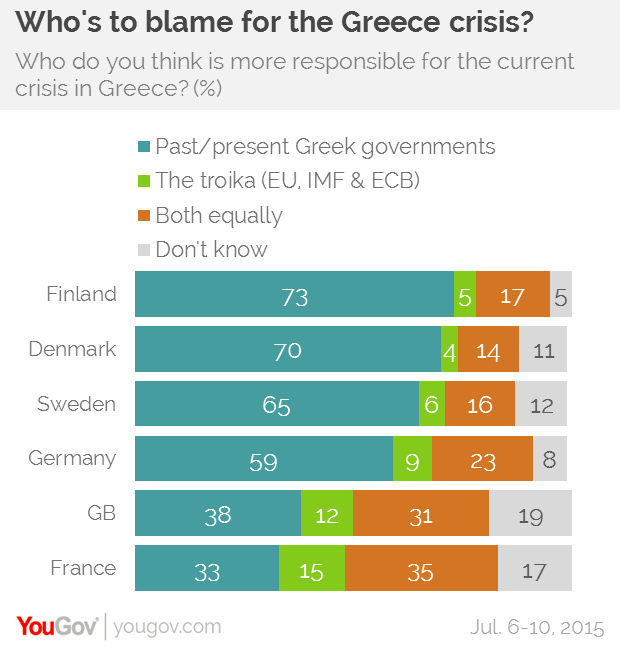 By contrast, large majorities of Germans, Danes, Swedes and Finns heap most of the blame on past and present Greek governments. 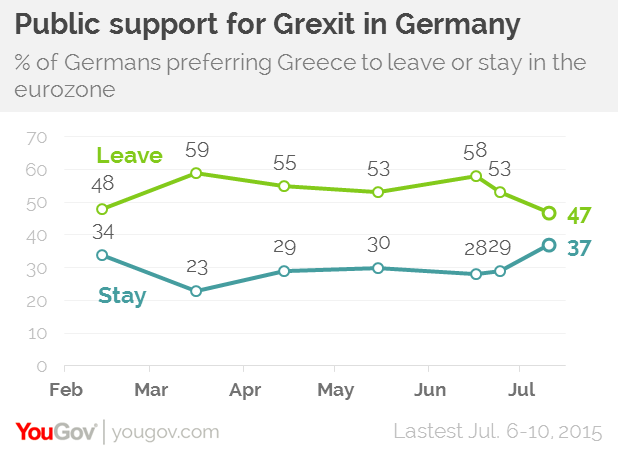 That’s not to say there is strong Anglo-French support for Tsipras’s demands. On balance both countries tend to see them as more "unreasonable" than not, according to the poll. They also tend to see calls for more austerity as reasonable. However, while 43% of the French say the calls for bigger cuts to Greek spending are reasonable, fully 74% of Germans do. However the poll also finds evidence that cracks may be forming in what had been a hardening resolve amongst Germans. Whereas even a month ago 59% of Germans wanted a so-called &apos;Grexit&apos;, that number has now fallen below 50% for the first time since February, and opposition is at a high of 37%. Elsewhere in Europe there has either been little change from June or a decrease in support for Grexit, including a drop in 10 points in Denmark. Nevertheless, the majority continue to believe a Grexit is likely in every country except Sweden (47%). 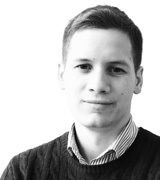 There is also a view that European disunity should end with the single currency issue. The balance of opinion across all territories is against Greece leaving the European Union itself – here, in fact, the Germans are the most opposed, with 56% of Germans preferring Greece to stay part of the EU.